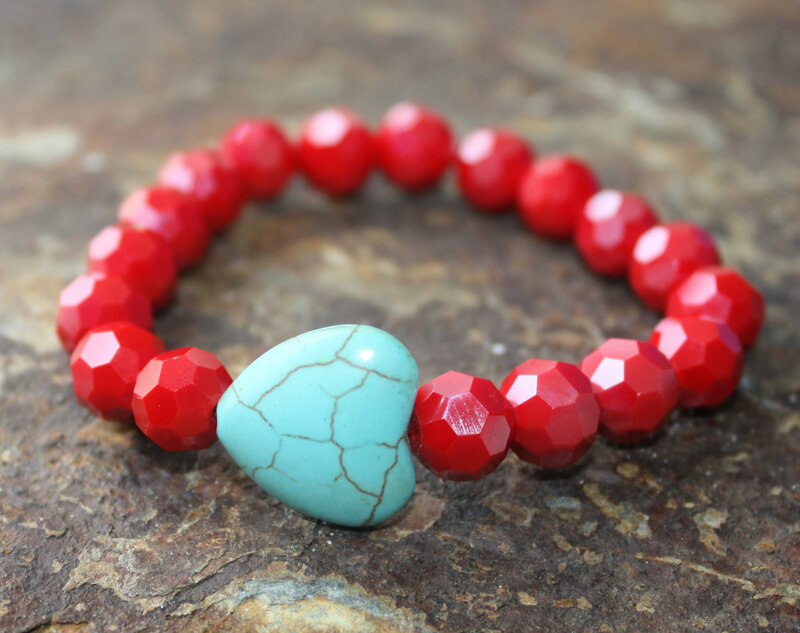 This bracelet is red hot with beautiful red faceted beads and a turquoise heart bead. Will look good if you are in jeans or dressed up. Categories: A Little Bit of Everything, Beaded Bracelets, Valentines Day.